A group of Edinburgh Napier music students are set to rip up the Scottish pop music rulebook as part of a special concert inspired by the Rip It Up music exhibition. Rip It Up Remixed will take place within the Dissection Room at the city’s Summerhall on Thursday 25 October. Inspired by artists featured as part of the National Museum of Scotland’s exhibition Rip It Up: The Story of Scottish Pop, students from the BA Popular Music and BMus (classical) programmes at Edinburgh Napier University have added their own twist to a variety of influential Scottish artists. Reworking songs from Scottish artists, the students will perform them in the style of another Scottish band from another era. Songs will include a punk rock take on synth pop starlets Chvrches and a modern take on the hits of the Bay City Rollers. 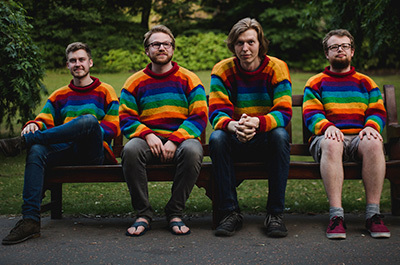 Acts performing on the night will be Barbe Rousse – a psychedelic slop-pop four-piece hailing from Edinburgh. 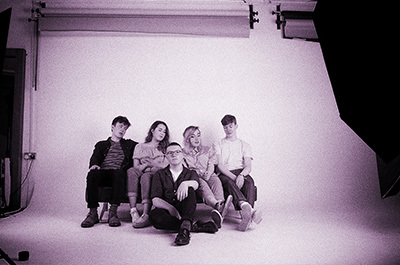 The band formed after meeting on the Popular Music course at Edinburgh Napier and have been gigging consistently over the last year including performances as part of Record Store Day and at the Kelburn Garden Party. Young musician Gus Harrower will also take to the stage. Widely regarded as one of Scotland’s most innovative up-and-coming stars, Gus is starting year three of the BA Popular Music programme at Edinburgh Napier, focusing on composition. 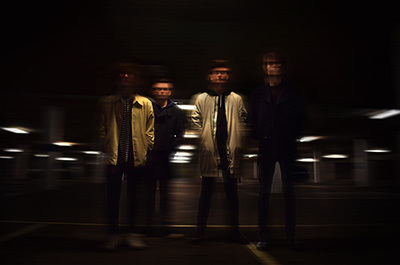 The line-up is completed by Alternative rock band Glass Ships. Currently in third year of the Popular Music programme at Edinburgh Napier, the band will bring their punchy, melodic riffs to proceedings. Bryden Stillie, Senior Music Lecturer at Edinburgh Napier, said: “Edinburgh Napier’s music department has been working with the National Museum of Scotland on a series of student projects connected to Rip It Up – The Story of Scottish Pop. The event is the latest in the University’s creative partnership with National Museums Scotland for the exhibition. BA Film and BA Television students have produced a film – called Time & Place - about music fan’s memories of attending gigs across Scotland that is currently being featured in the exhibition. Students from across a range of subjects including Journalism, Graphic Design, Photography, Television, Music and Communication, Advertising & PR, have also been involved with the exhibition through the development of a creative campaign – called Future Features - to attract 16-24 year olds to exhibition itself and the associated fringe events. The exhibition saw four performances with up and coming Scottish bands and artists filmed within the National Museum of Scotland itself. A host of Edinburgh Napier music students also performed at the museum during its free Fringe programme in August. Tickets for Rip It Up Remixed are £10/£7 and can be purchased here.